This post is sponsored by CTC Math but the contents and opinions expressed here are my own. 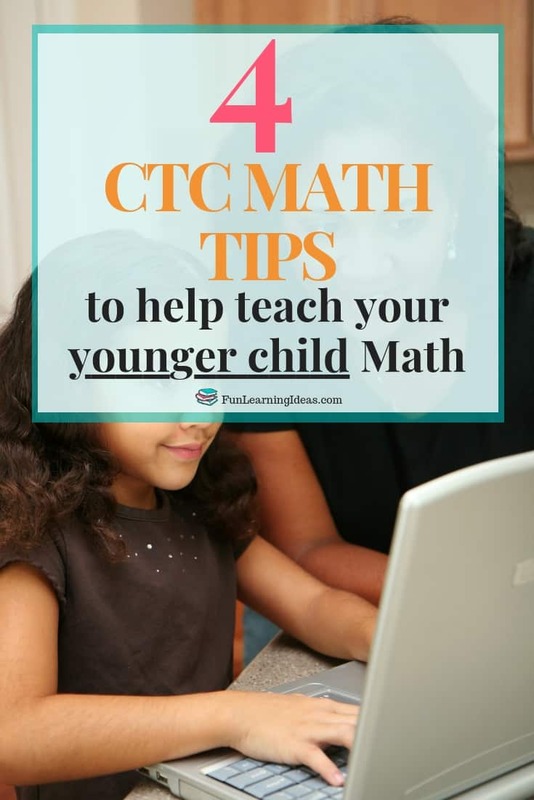 Ever wondered how to use CTC Math to teach a 5 year old math or just a younger child in general? I’ve used a lot of math programs- more than I am willing to admit. And while they were all great, they were not a good fit for our family’s lifestyle. This year we decided to switch to a boxed curricula in order to make teaching both my kids easier. I however wanted to lighten my load so to speak when it came to Math. Not because I hated it or was weak in the subject but rather because I still had to teach 9 other subjects each day. I just had no clue where to start. I was chatting to a friend online about what she used and she mentioned CTC MATH. Sure, I had heard about them and I’ve even recommended them to other friends but could an online math curricula really work for us? Would my kids be able to handle it especially since they are only 5 and 6? Well we are one month in and we are loving it! Now I’m sure you can read up a ton of reviews on how to use it and CTC themselves have tutorials on the site. I am going to show you how to use this program with younger aged kids. In our case, how to use CTC Math with a 5 year old doing grade 1 Math and a 6 year old doing grade 2 Math. Before I continue, let me just remind you that every family is different and every child is different. Just because my child is excelling in a subject at a certain age does not mean that your child should be at this stage. If you do however have younger learners on your hand, then keep reading to find out how I make CTC Math work for our family. I don’t know about you but I love lists and checking off lists. When I discovered that there was an entire list of all the topics covered in each grade my kids were in, I quickly printed them. Once I printed and punched the pages, I placed them in my 12 Week Homeschool Year Binder. Caleb’s was placed under Grade 1 and Jael’s under her grade. When each of my kids have completed a topic, I check it off. I am also currently thinking of giving them stickers- but we will see how that goes. Is it something I will need to explain further? Do I need to have any hands-on material to help solidify the concept? Watching the video ahead of time allows me to be prepared for Caleb’s lesson. If he does need something extra, I ensure that he has it available when he starts his lesson. Recently, Caleb was learning about 3D shapes and sure he could recognize the shapes on paper but I wanted him to have a hands-on approach. The night before, I went through the kids building blocks and chose all the blocks that resembled the shapes he would be working with. The lesson was a hit and he understood it. Set a timer for each lesson so that if a concept is too hard, they know that they will be done when the alarm goes off. This has definitely removed the stress of lessons in our homeschool. When the alarm goes off- we either switch subjects or take a break. Let your child know that if they don’t understand a concept, they can always replay the video. Your child will get stuck, this is unavoidable- always be willing to help them. Watch the video with them again and then do a few questions together until it seems as if they have grasped the concept. If you have been on the fence about your Math curriculum you’ve got to try CTC Math. The best part is that homeschoolers get a huge discount! !